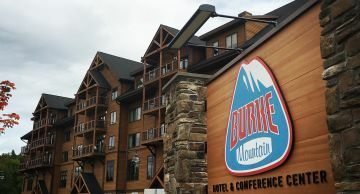 With every inch of its 2011’ of vertical, Burke Mountain Resort believes in all that made Vermont skiing famous. So we’ve foregone wider, flatter trails, and the wider, flatter skiers they cater to, for trails and glades that respect the mountain’s natural contours. And we don’t rate tough blues as blacks or anything close to a green as a blue. Up North, you earn it. Not everybody gets a trophy, a mentality we observed watching more than 50 Olympians learn to be great at the world-renowned Burke Mountain Academy. But we want to exclude no one. So if you can’t ski or ride any of our 36 trails, 14 glades, or three terrain parks or 178 skiable acres, we’ll teach you. 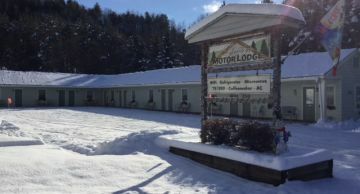 Located upstairs in the Sherburne Base Lodge, enjoy the friendly and relaxed full service sports bar atmosphere complete with pool tables, foosball, darts and nine big screen TV's. Serving up a unique style of grab and go options to warm you up and get you on your way with breakfast, lunch and diner-style options. Located in the Sherburne Base Lodge. Enjoy a nostalgic full-service bar where everyone feels like a local. Stop by for a quick beer and a bite between runs or a mellow apres-ski setting. Located in the Mid Burke Lodge. Inspired by the beauty and abundance of Lake Willoughby, Willoughby's Restaurant Evokes a sense of place. Window-to-window dining allows minds to revel in the days journey while enjoying a fine-dining experience. Located in the east wing of the Q Burke Hotel & Conference Center. Apres ski with an amazing view, it doesn't get much better than this! The View Pub has sweeping views of the Willoughby Gap on of Vermont's beautiful natural wonders. 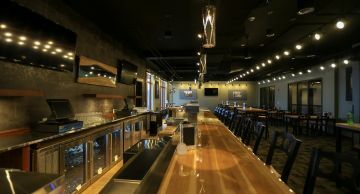 The View Pub is located in the east wing of the new Burke Hotel & Conference Center. Gear up or unwind in the cozy corner of Edmund's Coffee Shop, located in the west wing of the Burke Hotel & Conference Center. 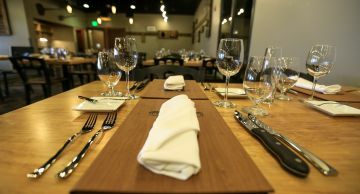 Located in the heart of the Hotel, the timber-framed day lodge serves traditional cafeteria fare and is the perfect spot for quick, easy, kid-friendly fare, including grab n' go options. The Day Lodge is located on the second floor of the hotel in between the East and West wings, only steps from the Mid-Burke Express lift.